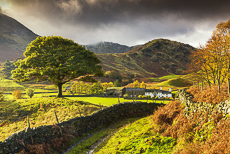 The Lake District is one of the UK's most picturesque, rugged and beautiful landscapes, perfect for photographic workshops. From the towering mountains, glass-like lakes, gushing waterfalls and classic Lake District stone-built cottages, the choice of locations to take pictures numbers in the thousands. You'll meet Tom for a pre dinner drink at the hotel for this four-day long photography workshop on the Tuesday evening. 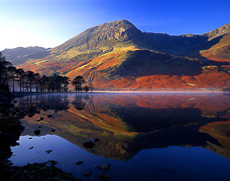 Before the end of the workshop on Friday afternoon, you will visit iconic places in the Lake District, such the ancient Castlerigg Stone Circle, Derwentwater and Lake Buttermere to name a few, you'll explore the dramatic mountainous landscape, stunning autumnal woodland colours and the water that so spectacularly shapes the Lake District region. After a hard day of creativity you'll then head back to the comfort of the hotel for image review, discussion and, of course, a delicious supper. Tom will also put on a slideshow of images from the region, to encourage your creativity and inspire your imagination. 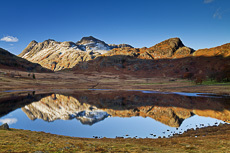 This photography workshop in the Lake District is perfect for those who wish to capture some of the most beautiful wilderness in the UK. 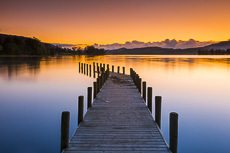 The Lakes are known for being one of the most amazing regions in the UK, and are the perfect place to capture incredible photographs. Expect early mornings, lots of fresh air and be prepared for the weather!